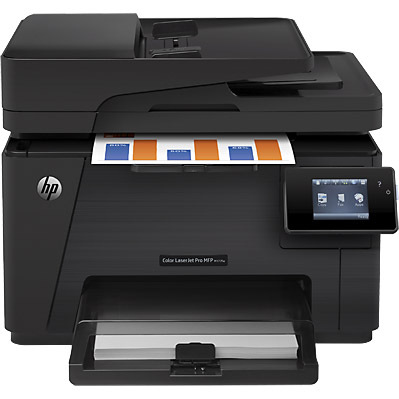 Get unbelievable savings on your HP Color LaserJet Pro MFP M177 toner purchase through 1ink.com! We’ve got the remanufactured toner cartridges you need to produce consistent, high-quality work, and we offer our toner at the best price around. You’ll be amazed by the quality of your printed documents and images. Every sentence will be legible and every image will be clearly detailed from top to bottom. We guarantee you’ll be satisfied with the results you get from our remanufactured HP 130A toner cartridges. Our toner even gives you the same page yield as an original equipment manufacturer (OEM) cartridge: up to 1,000 pages in color and up to 1,300 pages in black. If you go through toner quickly or you just want to stock up and get additional savings, we offer a convenient four-pack that combines one cartridge in each color! You shouldn’t have to struggle to afford quality print work. Whether you’re buying toner for use at home or for use in a personal printer at your office, our remanufactured cartridges are designed for easy installation in your HP Color LaserJet Pro MFP M177 printer.